Steven Rattner, the New York City business icon who left to salvage the nation's auto industry, is now being sued by the state attorney general. MANHATTAN — State Attorney General Andrew Cuomo filed two lawsuits Thursday against former Obama Auto Czar Steven Rattner, a statement by his office announced. The governor-elect is seeking $26 million and a lifetime ban from the securities industry for the infamous Manhattan businessman, who was accused of bribing state officials to obtain investments from the New York State pension fund on behalf of Quandrangle Group, where he was a founding principal. Cuomo’s office announced the suits on the same day that Rattner settled a civil case with the Securities and Exchange Commission, agreeing to pay $6.2 million and abstain from "associating with any investment adviser or broker dealer" for two years, according to the New York Times DealBook blog. The embattled financier, with ties to Secretary of State Hillary Clinton and Mayor Michael Bloomberg, responded to Thursday's charges in a statement to DealBook. "While settling with the S.E.C. begins the process of putting this matter behind me, I will not be bullied simply because the attorney general’s office prefers political considerations instead of a reasoned assessment of the facts," Rattner reportedly wrote. "I intend to clear my name by defending myself vigorously against this politically motivated lawsuit." Rattner is again charged with paying more than $1 million in kickbacks to Henry "Hank" Morris, political advider to the former State Comptroller Alan Hevesi, in exchange for a $150 million investment from the New York State Common Retirement Fund (CRF). Rattner is also accused of having contributed $50,000 in contributions to Hevesi's re-election campaign and arranged a DVD distribution deal for a film called "Chooch," which was produced by the brother of then CRF Cheif Investment Officer David Loglisci. Quadrangle Group settled a case with the New York Attorney General in April, agreeing to pay $7 million and cooperate with the investigation into its founder's actions, the statement by Cuomo's office said. 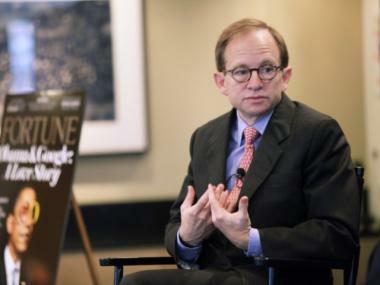 Rattner reportedly declined a $20 million settlement offer from the attorney general last month, claiming that the figure was disproportionate to the amount he earned at Quadrangle, according to the Times. Since leaving Quandrangle, Rattner has overseen a bailout of the U.S. auto industry and published a book, "Overhaul: An Insider's Account of the Obama Administration's Emergency Rescue of the Auto Industry," about the experience. News of Rattner's legal woes coincided with the roaring return of General Motors, the company that he helped turn around, to the New York Stock Exchange on Thursday.